This play is a volcanic tale of love, betrayal and revenge. 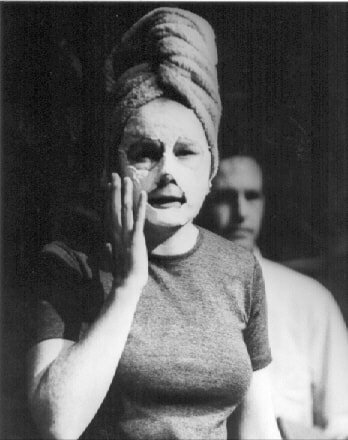 Set during 1967, the production featured an original opera score by John McKeown. The Denis family lives on a small farm at Bellard. The Powers live in Enna House. The two families have been feuding for a generation. But life is lived at a safe distance from each other. Nina Denis cleans for the Vanderpools and eats plenty of celery for her arthritis. Kora Denis is learning Italian for when she visits her sister in Italy. Séamar Denis sometimes goes the colour of Betty Skully’s cardigan. And everything stops for the angelus. It all goes wrong when Hady Power rescues Kora Denis from an electric fence and an impetuous, forbidden love affair begins. Past rivalries, buried vendettas and troubled ghosts are resurrected on the Plains of Enna. ​Pat Kinevane is a native of Cobh, County Cork. He has worked as an actor for the past with the Abbey and Peacock, the Gate, Druid, the Gaiety, Passion Machine, Pigsback, and Second Age. As well as performing in Ireland, he has travelled to Australia, Scotland, London, and America with touring productions. His first play, “The Nun’s Wood,” was commissioned and produced by Fishamble in 1998. It opened at project @ the mint, toured Ireland to critical acclaim, and won a BBC/Stewart Parker Trust Award for new writing. Pat developed THE PLAINS OF ENNA, his second play, over two years with Fishamble.